Japan has long been a country dotted with its castles that once housed the feudal lords throughout history. But here’s a secret: many of those castles rarely contain its original structures and turrets. Except for the White Heron Castle in Himeji, Hyogo Prefecture. 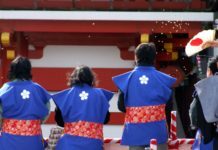 Himeji city is often overlooked as a tourist destination by foreigners in favour of its more popular and easily accessible neighbouring cities, Osaka and Kyoto. But what a waste it would be to miss it out completely for the sight of the white castle atop a hill is really one of Japan’s more iconic sights – setting the image of a white heron bird preparing for flight. Himeji’s white five-tier donjon (inner tower) is fortified with 83 buildings that is a construction masterpiece in wood. 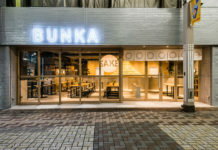 It has successfully combined functionality with aesthetic in its graceful appearance in the form of the white plastered earthen walls that weaves together the building masses and signature roof layers of 17th Japanese architecture. According to the Japan National Tourism Association (JNTO), 24 million men were involved in the major construction project overseen by feudal lord Ikeda Terumasa. Strategically built atop a hill in 1333 first as a fortress, Himeji castle was equipped with highly developed defense and protection systems dating back to the start of the Shogun era. After the castle was erected, Japan enjoyed a time of peace and the castle itself was never raided. Due to its historical role, the White Heron castle has a deeply ingrained connection with its city as evident by the city’s mascot, Shiromaru Hime, which translates to white round princess. In July 1945, fire rained down on the city of Himeji, severely damaging the structures and townships during World War II. But miraculously, the bomb that struck the castle did not go off and the castle remained relatively unscathed. 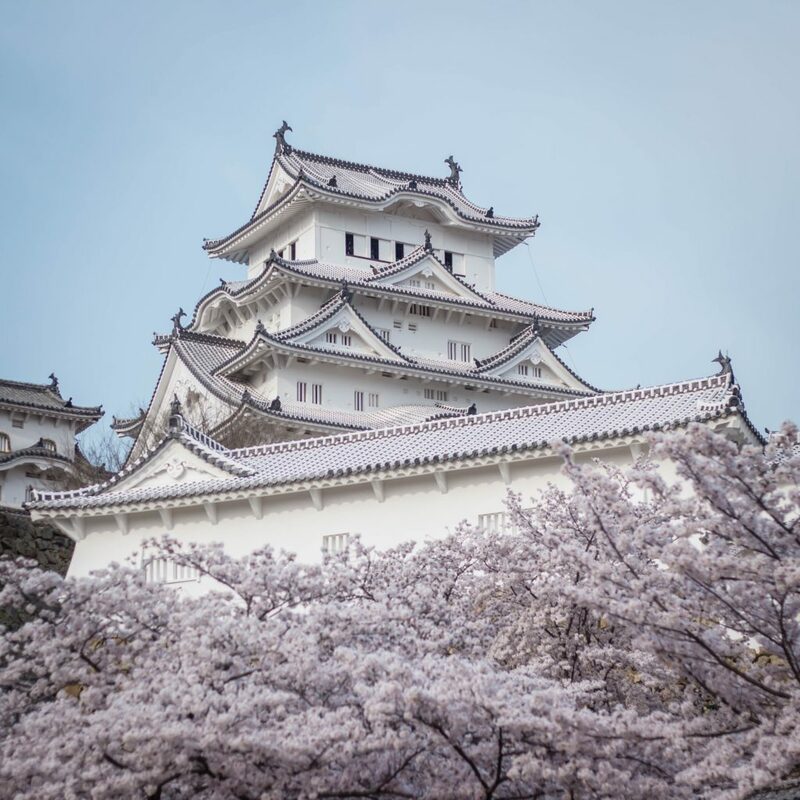 Even more remarkably, Himeji castle has withstood the many earthquakes that rocked the nation through the years, even the Great Hanshin earthquake of 1995. Some has credited this to the wood-based built of its structure and the granite foundation which acted as a seismic tuning fork. It allowed the castle to sway along with the shakes and not collapse. Himeji castle reached Hollywood fame when it shared several scenes with Sean Connery in the James Bond movie ‘You Only Live Twice’. The castle complex was featured in the fight scene with the Japanese ninja warriors. Himeji castle is easily accessible by bus or is only a short 15-minute walk from the JR Himeji station. English speaking tours, which include a photo with the castle’s exterior, are available twice a day at 10am and 1pm daily. These tours take about 1 hour 45 minutes and gives visitors an in-depth tour to Japan’s most beautiful and enduring original castle. 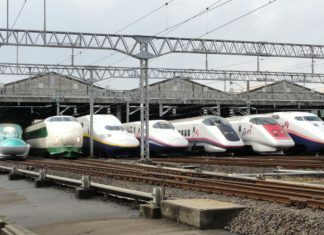 Located along the Tokaido Shinkansen route between Tokyo to Fukuoka, Himeji can be reached by train from the east or the west. Limited express trains run between Osaka’s Umeda Station to Himeji station and takes 1 hours 40 minutes. Although slower than the JR line, this route is cheaper and covered by the Kansai Thru Pass, making for a budget-friendly day trip from Osaka.